KUALA LUMPUR, Malaysia -- The search by a private U.S. company for Malaysia Airlines Flight 370 will end next week, Malaysia's transport minister said Wednesday, while families of those who died onboard urged the government to review all matters related to the jet's disappearance four years ago. 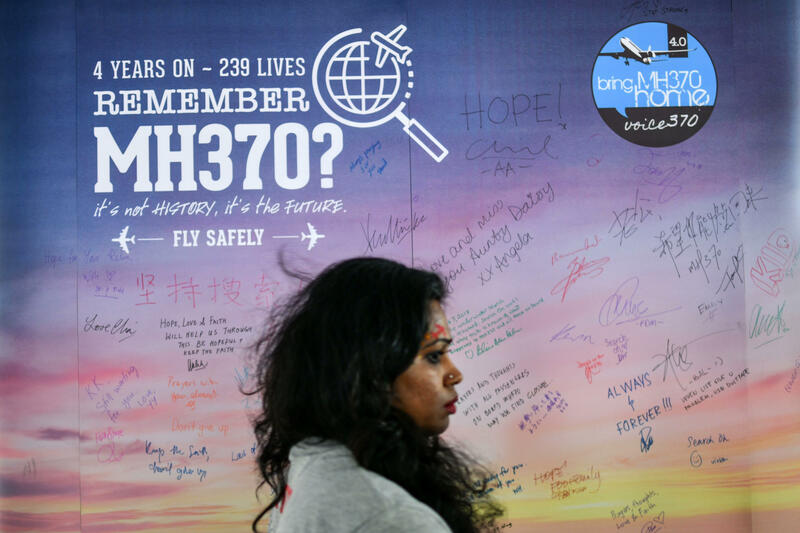 Malaysia signed a "no cure, no fee" deal with Texas-based Ocean Infinity in January to resume the hunt for the plane a year after the official search in the southern Indian Ocean by Australia, Malaysia and China was called off. So far, the search has not turned up anything that could shed light on one of the world's biggest aviation mysteries. Transport Minister Anthony Loke said Wednesday that the 90-day search deal with Ocean Infinity was due to end in April but was extended twice until May 29 following the firm's request. "There will be no more extensions. It cannot continue forever. Let's wait until May 29 and we will then decide how to proceed," he told The Associated Press. Earlier this month, an investigation by an Australian TV news program suggested the pilot deliberately crashed the plane. "60 Minutes Australia" brought together an international group of aviation experts who say that the disappearance was a criminal act by veteran pilot Capt. Zaharie Ahmad Shah. Under Malaysia's deal with Ocean Infinity, the government will pay the company up to $70 million based on the size of the area searched if the mission is successful within three months. Officials have said there was an 85 percent chance of finding the debris in a new 9,650-square-mile search area identified by experts. The official search was extremely difficult because no transmissions were received from the aircraft after its first 38 minutes of flight. Systems designed to automatically transmit the flight's position failed to work, according to a final report issued in January 2017 by the Australian Transport Safety Board. Voice 370, which represents families of those aboard the flight, in a statement Wednesday urged the new government to review all matters related to the jet's disappearance including "any possible falsification" or elimination of maintenance records and any omission that may have impaired tracking, search, rescue and recovery of the plane.